The Grilled Cheese Bacon Thickburger is back at participating Hardee's restaurants for a limited time. The burger features a charbroiled 1/3 lb. Black Angus beef patty, bacon, two slices of Swiss cheese, and two slices of American cheese nestled between two pieces of toasted sourdough bread. 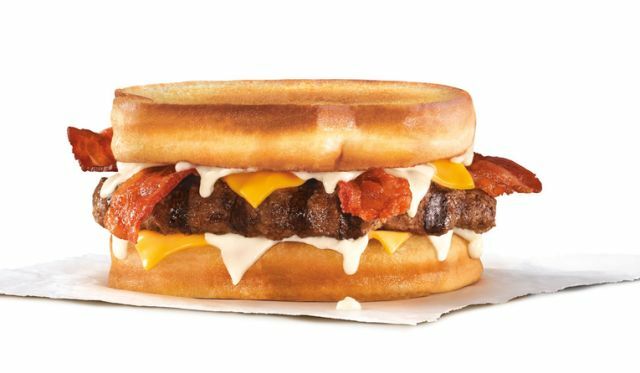 The Grilled Cheese Bacon Thickburger is basically a cheesier variation of the chain's regular menu Frisco Thickburger.